A new whisky bar has opened at MacLeod House & Lodge, the controversial Aberdeenshire golf hotel owned by US President Donald Trump. 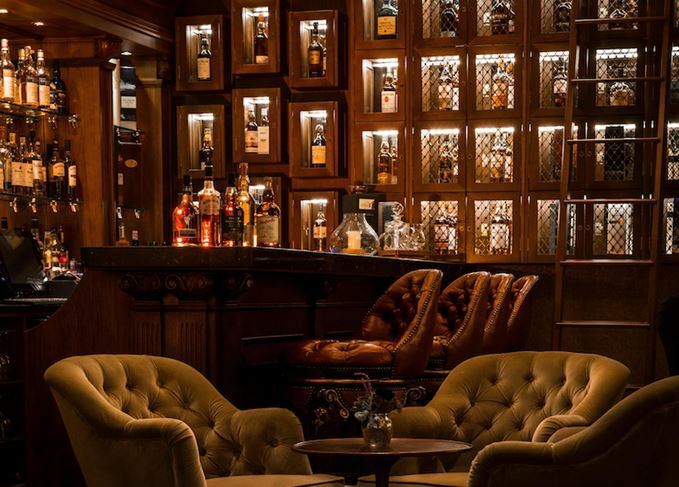 The luxurious bar, which claims to offer ‘an extensive selection of Scottish and international malt whiskies’, is housed in the 16-bed hotel at the Trump International Golf Links on the Menie Estate, north of Aberdeen. Trump International said it had worked with industry experts, including Gordon & MacPhail, to source a range of ‘rare and highly sought after releases… alongside well-known favourites and traditional Scottish brands’. The bar features hand-made cabinets, which house the most valuable bottles behind brass grilles, and has a ‘resident whisky connoisseur’. It also offers cocktails, wines and other spirits. 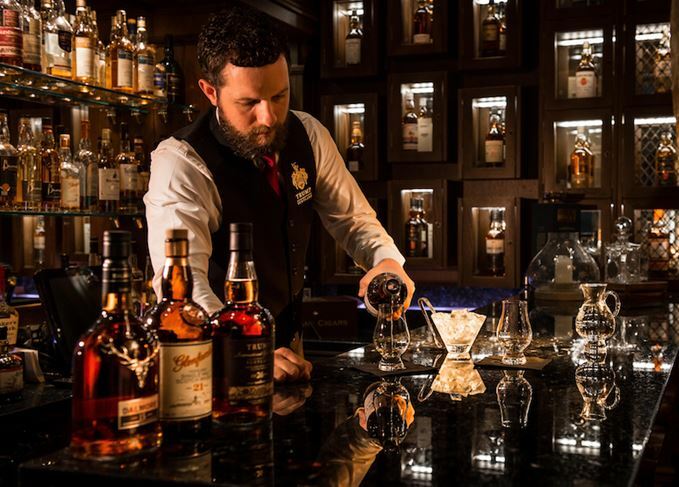 ‘We have worked with the industry’s best to select the finest malts and create an authentic whisky experience,’ said Sarah Malone, executive vice president of Trump International Golf Links, Scotland. 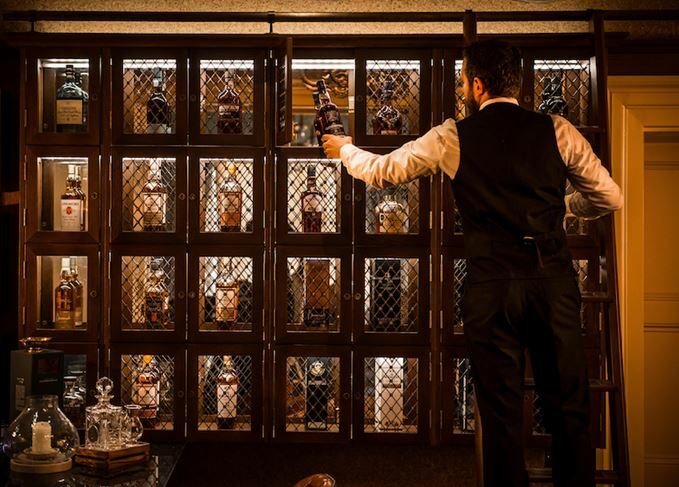 She added that the bar, which is open to all, will soon launch a Whisky Membership scheme, allowing members access to rare bottles, new releases and special events. The Trump development was controversial from the outset, with environmental campaigners complaining that the construction of the golf course and hotel, which involved bulldozing one of Scotland’s rarest dune habitats, would do irreparable ecological harm. Plans to expand the development include the building of a new, 450-bedroom hotel, a second golf course, a timeshare development and further housing. Signed by the President-elect himself, the whisky is expected to sell for more than £2,500.